Sanjay Khosla has been a member of our board since June 2013. Mr. Khosla brings more than 35 years of international business experience from his career with food, beverage and consumer product leaders such as Mondelez, Kraft and Unilever, where he managed various business units, particularly in developing markets. As President, Kraft Foods, Developing Markets (now Mondelez International), Mr. Khosla transformed the business from a $5 billion to a $16 billion business in six years, while significantly improving profitability. He also has animal health experience from his three-year tenure as Managing Director of Fonterra Brands and Food Service, a multi-national dairy cooperative based in New Zealand. Mr. Khosla formerly served on the board of Iconix Brand Group, Inc., a company that licenses and markets a portfolio of consumer brands, from September 2016 to September 2018. From October 2008 until June 2015, he served on the board of Best Buy, Inc., a specialty retailer of consumer electronics, personal computers, entertainment software and appliances, and from December 2002 until October 2017, he served on the board of NIIT, Ltd., a company involved in technology-related educational services. Mr. Khosla holds a bachelor’s degree in Electrical Engineering from the Indian Institute of Technology in New Delhi. Mr. Khosla also completed the Advance Management Program at Harvard Business School. Mr. Khosla is currently a senior fellow and adjunct professor at Kellogg School of Management, Northwestern University and a Senior Advisor for the Boston Consulting Group. 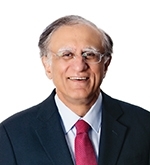 Mr. Khosla is also CEO of Bunnik LLC, a management consulting firm.